For Us, Our Promise is all about our commitment to service, our attention to small details, and the clear expectation that ensures we achieve the best possible result for you and your property. With you all the way, every day, locally. Being trade qualified and working in engineering management for over 30 years. Andrew has significant experience managing projects, negotiating high profile contracts, working with people and assisting them to achieve their goals. As a Real Estate Agent, Andrew's goal is to join sellers with the right buyers. As a local of Tamborine and living on acreage, Andrew has ground roots understanding of the Tamborine area and importance of the community culture. For property purchasers and investors Andrew will help you to discover the brimming opportunities of the region. For property sellers, Andrew will work for you so that you can move onto your next endeavor. Andrew specialises in residential, acreage and investment property sales in the Tamborine area and is here to help you. "Live Locally, Work Locally"
Harcourts Scenic would like to present Shane O’Mara. Shane has dedicated the last twelve years to a property and real estate career. 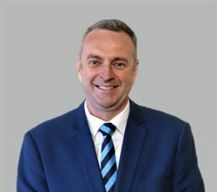 This has seen him working for some of Queensland and Australia's leading property developers and Real Estate companies throughout South East Queensland and Northern New South Wales. With a range of experience covering selling and buying units, land, townhouses, houses and Prestige inner city Property. Shane is a licensed Real Estate Agent and lives in the area. His experience and work ethic make him a great choice to help you get the best out of selling your home. Hans Bey is a fully licensed agent at Harcourts Scenic. He likes nothing better than matching up buyers and sellers. Starting his career in January 1982 he has been in sales and marketing since. He has achieved a number of milestones over his career and has sold many millions of dollars’ worth of real estate in the last 31 years; one of the notable sales was of a $7.4 million property in Jimboomba. 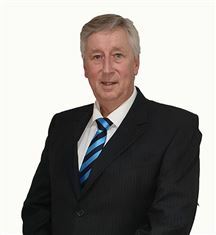 Hans migrated to Australia at a young age with his parents from Holland in 1962, he is a family man and with his wife Paula, together they have 3 children and 3 grandchildren. Hans’ philosophy is based on honesty and communication. He is committed to keeping his sellers informed on the progress throughout the marketing of their property. He can offer you diverse marketing, with enthusiasm and flair as every property is special in its own particular way. That is why Hans believes it is essential to design a marketing program tailored to your needs to stand out from the crowd. Hans’ successful sales record is a reflection of his honesty and commitment to "GET THE JOB DONE". It is through this commitment to service and specialized marketing that he has achieved such positive results for his clients. Hans’ aim will be to negotiate the best possible price for your property in the shortest possible time with the least inconvenience to you. HANS AT ALL TIMES WILL ACT ON YOUR BEHALF. 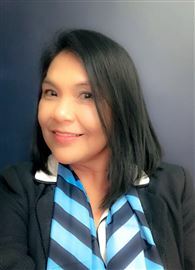 Anita was born in the Philippines and raised by her Aunty, a medical practitioner, who instilled in her strong values of hard work, honesty and high expectations. Anita completed a Bachelor of Science in Business Administration majoring in Accounting. Her work experience across the years has been diverse, including: banking; education; construction; legal; commercial real estate; bookkeeping; legal secretary; personal assistant; property management; aged care and office administration. Anita’s broad work and life experience has included the nursing and care of dementia patients in the latter stages of their life, a testament to her patience and commitment to the welfare of clients. Clients appreciate her professional demeanour, her transparency of practice and her strong commitment to customer service. Outside of real estate Anita is a caring mother to two young adult sons as well as being a keen golfer and member of her residential body corporate committee. Dual Living - Lots of Options!